First city hall in the Benelux using robot to provide improved customer service – Integrit-System S.R.L. 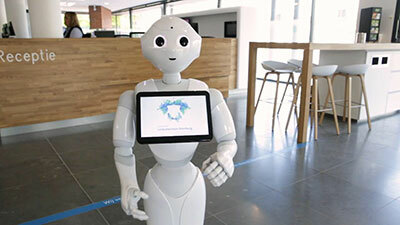 In a five-month pilot, Qmatic will work with a partner, Decos, and the city hall to find out if the robot can help to improve interactions with the customers and also taking the customer experience to the next level. “We are thrilled to be involved in this project to support the city hall in achieving their innovation ambition and we are looking forward to an excellent result “, says Renze de Ruiter, Managing Director at Qmatic Benelux. At the end of the pilot it will be decided if Elvie Pepper is offered a permanent contract.